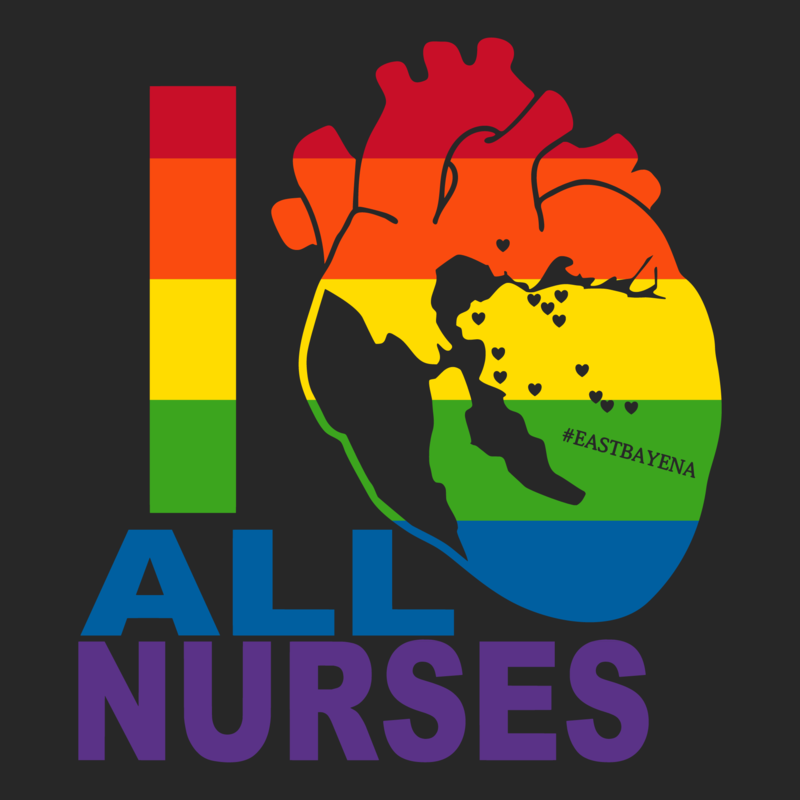 Buy a shirt to show your East Bay RN PRIDE and support ALL nurses! Check out our special, LIMITED TIME, t-shirt designed with Pride in mind. We are sharing these proceeds with Rainbow Community Center right here in the East Bay. All funds raised will go directly to Emergency Nurses' Association - East Bay Chapter . JUST IN TIME FOR PRIDE! 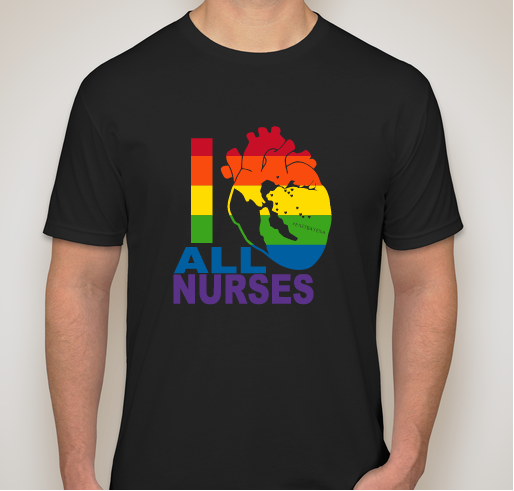 If you loved our I <3 ER NURSING shirts, you're going to EXTRA love these RN PRIDE shirts! Same unique East Bay design, same soft fabric and great fit, but with an amazing cause attached. We are selling these shirts and sharing the proceeds this time with Rainbow Community Center in Concord, CA. The extra cost (plus optional additional donation) will go directly to the awesome queer community services offered by this organization in the East Bay! What better way to show your PRIDE, support your colleagues and benefit the East Bay community? We are so proud of these fundraising shirts and we hope you are, too! Please consider adding an additional monetary donation to benefit the Rainbow Community Center. Our RN community has been so incredibly generous thus far - we are just amazed by you! THANK YOU ALL SO MUCH! Join us at PRIDE in Concord at Todos Santos Plaza on Saturday, June 1st! We will be teaching Hands Only CPR and meeting and greeting our amazing community members. Hope to see you there! Share Why You Support "East Bay ENA PRIDE Fundraiser"